(looking into the prince's blue eyes) It is you! Featherduster: [to Lumiere the candlestick] I've been burnt by you before! [singing] I want adventure in the great wide somewhere. I want it more than I can tell. And for once it might be grand, to have someone understand. I want so much more than they've got planned. Beast: [through clenched teeth] Well, where is she? Cogsworth: Who? Oh, heh-heh, the girl. Yes, the girl. Well, actually, she's in the process of, er...circumstances being what they are...she's not coming. Cogsworth: [chuckles] Splen.... You, what? How could you do that?! Lumiere: But he was so close. Ms. Potts: After all this time, he's finally learning to love. Ms. Potts: But it's not enough. She has to love him in return. Beast: I THOUGHT I TOLD YOU TO COME DOWN TO DINNER! Beast: YOU COME OUT, OR I'LL... I'LL BREAK DOWN THE DOOR!!! Lumiere: Uh, Master, I could be wrong, but that may not be the best way to win the girl's affections. Beast: [through clenched teeth] But she is being so difficult! 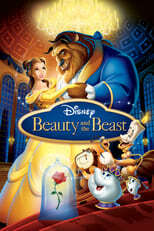 Beast: [to Belle] Will you come down to dinner? Beast: [to the objects] Hmm? Beast: [back to Belle, with forced calm] It would give me great pleasure, if you would join me for dinner. Cogsworth: And we say please. Beast: YOU CAN'T STAY IN THERE FOREVER! Beast: FINE!! THEN GO AHEAD AND STAAAAAAAAAAAAAAAAAAAAAAAAAAARVE!!!!! [to the objects] If she doesn't eat with me, then she doesn't eat at all! Belle: If you hold still, it wouldn't hurt as much! Beast: If you hadn't ran away, this wouldn't have happened! Beast: Well, you shouldn't have been in the West Wing! Beast: Who are you? What are you doing here?! Beast: What are you staring at?! Beast: So you've come to stare at the Beast, have you?! Maurice: Please, I meant no harm. I just needed a place to stay. Beast: I'll give you a place to stay! Maurice: No, please! No, no! Beast: You Wanna You wanna stay in the tower?